Banff Gate Mountain Resort is an outdoor playground for all ages, where mountain activities and rustic amenities meet. Nearby, you'll find adventures at Lake Louise and Banff National Park. Popular activities include water rafting, hiking, skiing, mountain biking, dog sledding, golf, and much more. When you're ready for some peace and quiet, head back to the picturesque grounds of the resort. 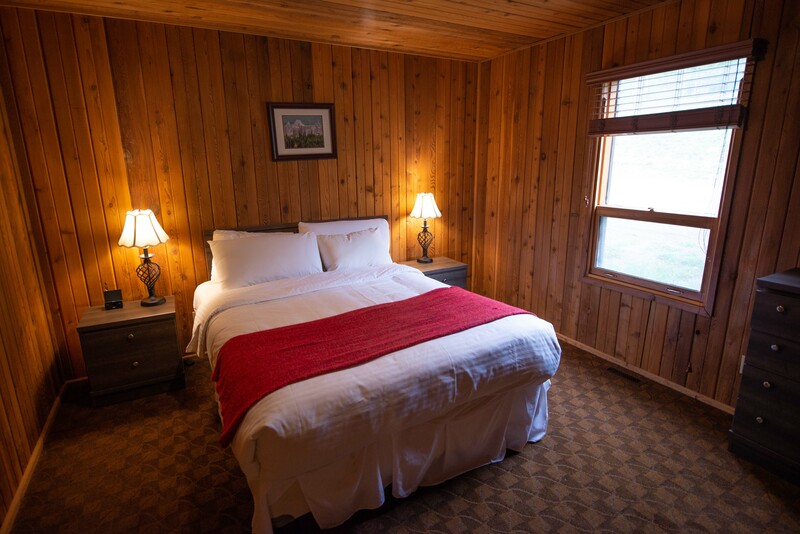 Nestled in the majestic pines of Pigeon Mountain at the foot of the Lougheed and Windtower Mountains, these 46 fully appointed chalets feature two bedrooms, living areas, and full kitchens. Children's play areas are intertwined by hiking trails that sprawl through the resort and connect to the surrounding wilderness. Local wildlife often wanders unhindered through the area and across the property. The resort also features an indoor heated pool, hot tubs, and a family recreation room perfect for families and adventurers.